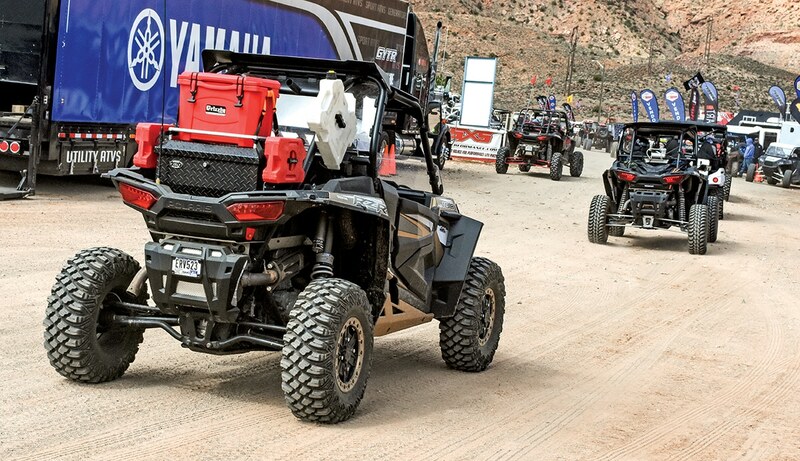 As UTVs gain popularity and more states are seeing the economic benefits of OHV recreation, more citizens are pushing their local, county and state governments to allow limited street use of UTVs. With the BlueRibbon Coalition pushing for Backcountry Recreation designations, our hope is that one day we’ll have a national OHV recreation plan that allows connecting trails and rural roads with UTVs and all OHVs. Until then, we’ll do our best to keep you informed on state laws affecting UTV use. Nevada has Revised Statute 490.090, which allows UTVs and ATVs to be operated on paved highways that are not otherwise designated for use by off-highway vehicles. A person may cross or use a paved road to connect trails or to load or unload OHVs where practical. UTVs may not be operated on interstate highways, but they may use two-lane paved roads for two miles or less, unless the road is specifically designated for OHV use in a city whose population is 100,000 or more. Here, mileage isn’t limited. So, it’s up to each city or county to designate roads OHV-friendly. On these roads, Nevada requires headlight(s) with a 500-foot reach, taillight(s) and brake light(s) visible from 500 feet, at least one rear reflector and a working muffler. Drivers must wear a helmet, have registration attached to the vehicle and comply with all traffic laws. New Hampshire’s Revised Statute 215-A:6 allows OHV operation on rural roads and along the right of ways of roads, except on interstate highways, limited-access highways or toll roads (Class I,II or III). RS 215-A:9 allows paved roads to be crossed to connect OHV trails, but crossing Interstate highways, divided highways, or toll roads is prohibited. Other sections of RS 215-A require eye protection and helmet use by those under 18. Operators must possess a valid driver’s license and proof of completion of an OHV-safety course; working headlights, taillights and brake lights; brakes capable of stopping the vehicle within 40 feet from 20 mph; a working muffler and a current registration decal. There are also provisions for people as young as 12 years old to operate OHVs on paved roads if they have completed an OHV-safety course and are accompanied by a licensed adult. North Dakota Administrative Code 37-04-01-03 states that a person with a valid driver’s license may operate a registered recreational vehicle (OHV) in the ditch bottom, back slope, and on top of the back slope of any state highway or byway. They may veer onto the road only to avoid an obstruction on the right-of-way. UTVs must have working headlights, taillights, brakes and brake lights. Oregon Revised Statute 821.055 allows UTVs and OHVs to be operated on any road open to the public and not maintained for passenger-car traffic, such as Forest-Service and County Roads. Operators 16 years and older must have a valid ATV operator permit. Those under 16 must be accompanied by a person 18 or older with a valid ATV operator permit who is able to provide immediate assistance to the child, who must also have an ATV permit. Texas prohibits UTV operation on public roadways, with exceptions, but allows OHVs to cross a public road, street or highway that is not an interstate or limited-access highway. OHVs are to cross at existing intersections with another street, road, or highway. OHVs may be operated on public streets in connection with agricultural or utility purposes, but the OHV must have an 8-foot whip, a triangular orange flag and headlights (even though operation is only allowed in daylight). The operator must have a driver’s license, and road use cannot exceed 25 miles. So, if you own land that could be classified as farmland or need to cross streets to connect trails, you’re good to go in Texas.